Call now to book your lessons! Hello, my name is Pierluigi, or PG to my friends, as most people find Pierluigi is a bit of a mouthful. I grew up in Rome, which taught me how NOT to drive, and moved in this country in 1993. Before becoming a driving instructor I worked in the Airline industry for over 20 years, covering many different operation roles including check-in, ticketing, dispatching and duty manager. 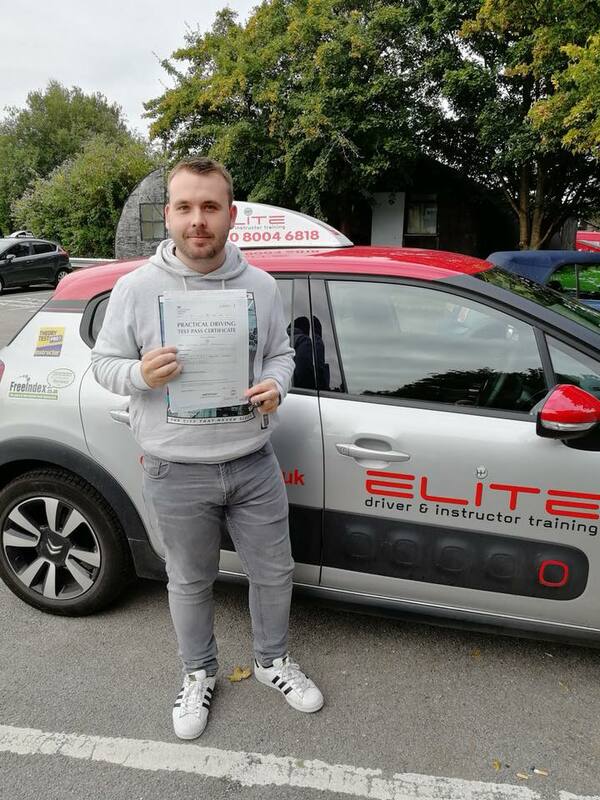 Due to my love of driving and interacting with people, I always wanted to become a driving instructor, and I was eventually able to thanks to the training provided by Ian, a great instructor trainer. I enjoy training, coaching and sharing experience with my pupils. Teaching a life skill is rewarding to me and seeing my pupils progress through the learning process, and ultimately passing their driving test makes me smile. Outside of work, I have many different interests. Apart from spending time with my lovely family, I love football, and I'm an FA licensed football coach for Merstham FC. I also enjoy outdoor running, cycling and I am pretty good with food- as long as it is Italian! So far as cars are concerned, when I'm not in my training car, I am the proud owner of a vintage 1974 Fiat 500 (or Cinquecento), and I love to ride in it on a sunny Sunday morning. "I’m new to the country (moved from the states). So learning how To drive in the UK was a must, as driving is almost opposite in the states. My husband found Elite online and I took about 2 weeks worth of classes. All I need to say is that I am happy I went with them. Passed on my first try. The instructors were nice, very explanatory, and taught me everything I needed to know." "Absolutely thrilled to have passed my driving test (Automatic) on the first attempt!" "When I first started the classes with Pierluigi I was really poor and lost in many ways but with his guidance I managed to streamline my driving skills and unlearn certain things while learning a lot more to be able to do a good job to pass the exam at the first go. Pierluigi is a calm guy who would watch me carefully and point out what I was doing wrong and do it in a way that I would be open to learn without any worries. The best part is the things that I would do wrong would be repeated constantly till I got it right!!! Perseverance and hard work is just not for the driver but also the instructor and Pierluigi stands out because he has these two qualities in abundance! Fantastic guy in general as well and would definitely recommend him and Elite Driving School to any one else looking to learn how to drive!" "I had a really good driving experience with Elite driving school. They gave me the confidence to drive and I had fun learning." "Pier Luigi was very friendly and I progressed quickly." "I should like to take this opportunity of thanking to Mr P Capparella. I have found it an efficient, caring and well-organised person. Thank you for your patience!" 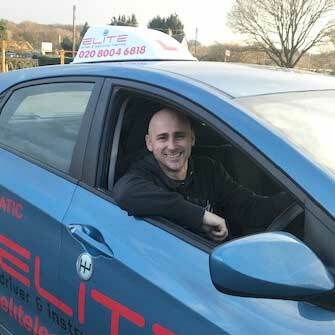 "I had Pierluigi whilst learning to drive with Elite and he was a fantastic instructor. Right from the beginning I reflected his confidence in me driving onto myself which really helped me move forward quickly. I passed first time after 20 hours of driving with no minors thanks to PJ and I couldn't thank him enough! I would definitely recommend him to anyone." 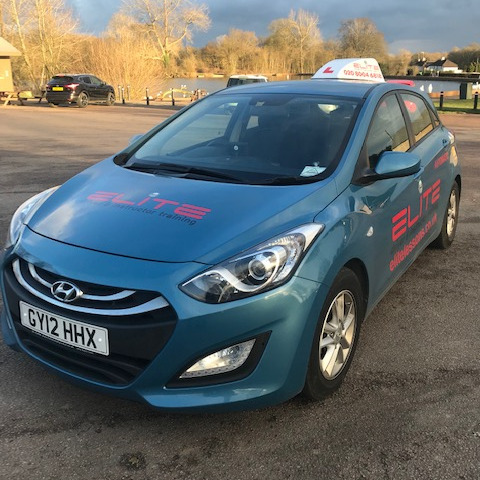 "Elite were brilliant value for money, flexible with time and my instructor Pierluigi was an excellent teacher friendly and always had great feedback and answers to any questions I had. Definitely rated very highly in my books." 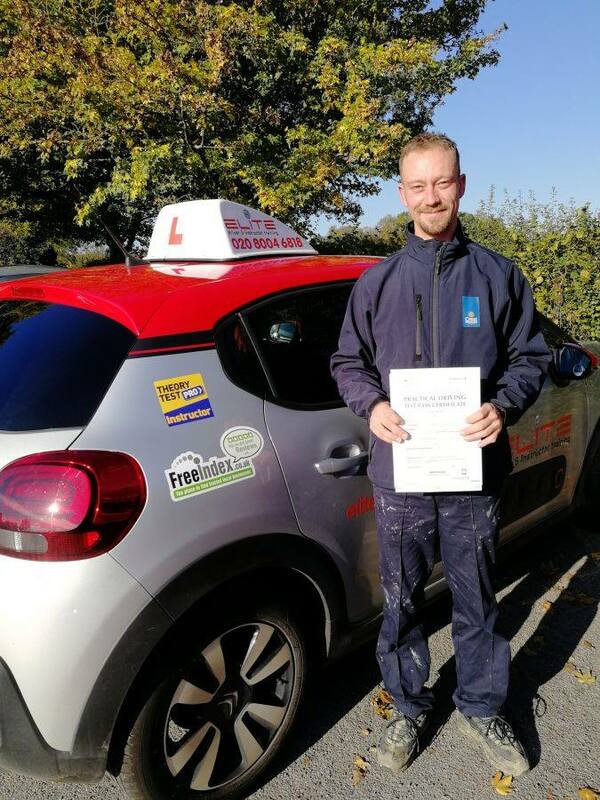 "Pierluigi (PJ) Was a fantastic instructor and it was a pleasure to be taught by him whilst learning to drive, he was fantastic at every part of teaching me drive and I was able to pass my test first time all thanks to him, I would highly recommend him to anyone looking into learning to drive." 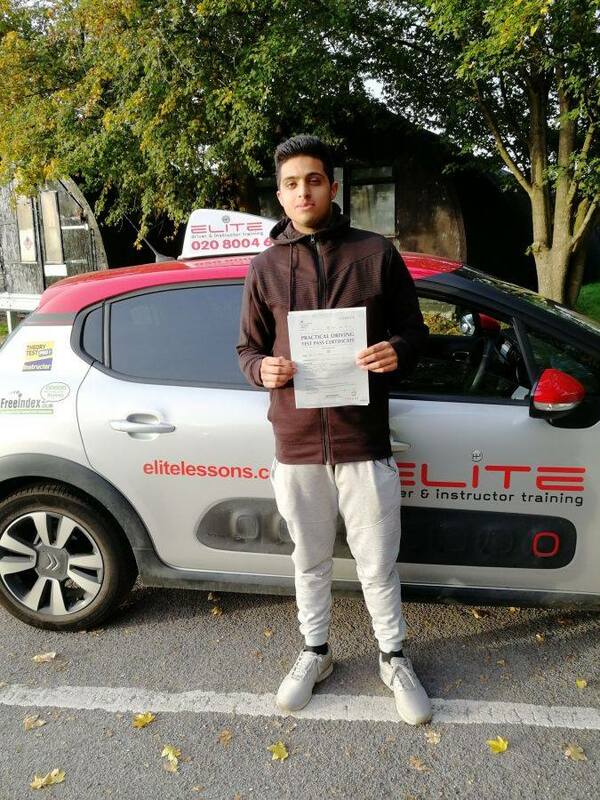 "I had a really great experience with elite driving, I started my lessons at the end of September and passed my test first time after 22 hours of lessons with Pierluigi. I got on really well with his teaching style and felt an improvement after each lesson which really boosted my confidence. Will definitely be booking an extra motorway lesson. Thank you so much- Ellie :)." "PJ was a very good teacher and could explain how I could improve very clearly. He was very calm and patient which helped me learn quickly and be confident with my driving. As a result, I was completely ready for the test. I would recommend him to anyone." "Pierluigi is an exceptional teacher. I really enjoy the way he helped me and how he went out of his way to make me pass the test. I really thank him for that." "PG has been an excellent mentor. I was driving back in my country, but PG has really helped me learn and understand the driving rules in UK. He has been very patient and meticulous in his teachings." "My instructor was amazing and I will definitely be recommending to Everyone I can. Passed on my first test with Pierluigi and only got 4 minors. The improvements he got me to make in my driving in only ten lessons was amazing and I honestly don’t think I could have passed so quick and made such improvements with someone else. I always felt comfortable and that I was being shown everything I needed to be shown where I was going wrong. I went for lessons to pass my driving test but enjoyed going for the lessons with Pierluigi and am honestly going to miss having them." "I had PJ as my instructor who was very thorough and made sure that I was completely ready for the test. With his professional help I was able to pass first time. He is very easy going and very flexible. He identifies your weak point and he encourages you to push the limits so you can become a better driver. Couldn't ask for a better instructor. I would definitely recommend him to anyone." "From start to finish, Elite were fantastic! I was very lucky to have been allocated Pierluigi as my driving instructor. Pierluigi is flexible, to the point and an excellent teacher. I passed my test first time with only three lessons. It was a challenge as I was under a time restraint needing to pass the test for a new job. Pierluigi was dedicated in helping me achieve this, applying a straight forward approach and patience. I would highly recommend Elite and couldn't speak highly enough of Pierluigi." "I have had 3 instructors over the years of me learning to drive on and off but learning with PJ was completely different. He made it a fun experience and taught me exactly everything within a short timespan. 110% recommend him and Elite. I have already passed on his number to my friend who is thinking of learning." "I had Pierluigi as my driving instructor and couldn't have asked for a better person. He was always so calm and helpful. He was very considerate and always picked up on the bits your weren't as confident on and help you get better at them. His way of teaching to drive managed to get me to pass my driving test first time with only 3 minors. I had a lovely time learning to drive with him and can't thank him enough!" "Excellent instructor, Pierluigi gave me the confidence to pass the test in the first attempt." 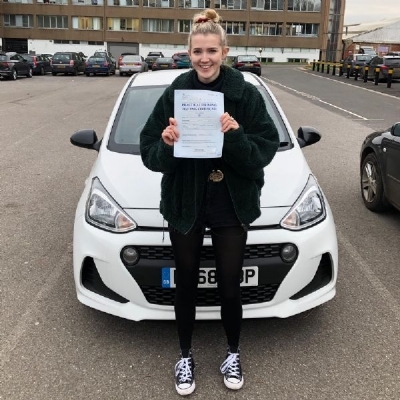 "The first time I did my driving lessons was tough, it meant trying to find a good instructor who’s teaches well and really gives you the time and patience because you don’t want your money to go to waste. Through the Elite driving school I was assigned PJ as my instructor. The first words that come to mind when you are with PJ is patience, passion and dedication. He will notice your weak points and encourage you to self learn these errors and reflect on how you can do better, he will go above and beyond to prioritise your lessons and will be willing to make himself flexible because he will trust in you before you trust your own driving and suddenly you have a newfound confidence on the road. 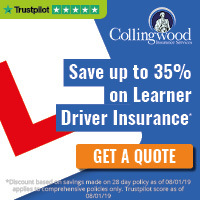 I highly recommend this driving school and I strongly advise you that you get PJ as an instructor because your money, time and most importantly your road safety will be in great hands." Make an enquiry or request a call back!